This application was brought to the Administrative Appeals Tribunal (AAT) to review a decision by the Industry Research and Development (IR&D) Board, who determined that the applicant did not conduct eligible activities to claim the R&D tax concession. Sub-section 39T(4) of the IR&D Act 1986 provides that the hearing of a proceeding relating to a reviewable decision must take place in private. These reasons are therefore cast in such a way as to preserve the confidential identity of the applicant. In late 1994, the applicant applied to the respondent for an advance ruling on the whole project involving the mining of alluvial lands. At its meeting on 1 March 1995, the tax concession committee (“TCC”) (a delegate of the respondent Board) gave an unfavourable opinion on the whole of the project, on the grounds that the claimed activities did not comply with the definition of R&D activities as set out in the Income Tax Assessment Act (ITAA) 1936. The activities undertaken by the applicant were rejected by the TCC for the reason that the primary technical problems associated with the cut-off wall would be solved by the design, development and testing activities; and that the construction of the wall would not involve any systematic, investigative or experimental activities but rather the application of known bentonite techniques. The TCC further determined that the construction of the wall and levee, de-watering of the aquifer and blasting would not be carried on for the dominant purpose of acquiring new knowledge or creating new or improved materials, products, devices, processes or services. Rather, it said, they were carried on for purposes associated with mining and so could not be considered to be core activities as they would not involved acquiring new knowledge or creating new or improved materials, products, devices, processes or services. The TCC also determined that they were not supporting activities.. The decision under review was set aside and the matter was remitted to the IR&D Board, with a direction that a favourable certificate under section 39L of the IR&D Act 1986 be issued to the applicant. The AAT found that the activities undertaken by the applicant did qualify as core and supporting activities, as defined in the IR&D Act. 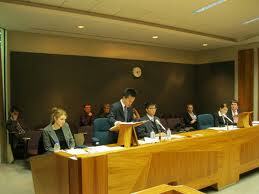 Click here to view The Applicant and Industry Research and Development Board  case.